As of Sunday (May 3 2015), The Real Singapore (TRS) has been taken down. 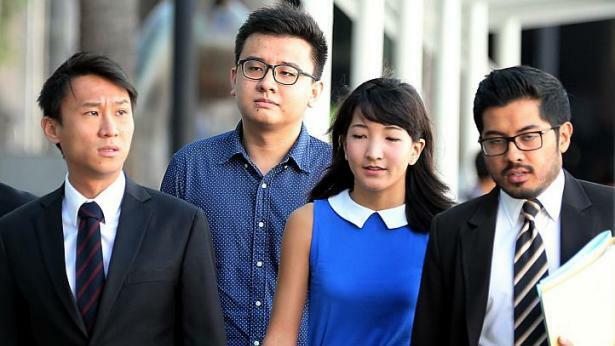 The editors behind TRS, 26-year-old Singaporean Yang Kaiheng, and his 22-year-old Australian girlfriend, Ai Takagi, were charged in April with seven counts of sedition and one of failing to produce documents to a police officer. The TRS Facebook page, which had garnered more than 400,000 likes, has also been shut down. Locals’ reactions to the site’s takedown have been varied. Some people are happy that the MDA has suspended the activities of a website known for their provocative material and plagiarism. According to a report by The Straits Times, the MDA explained that TRS had published material that is “objectionable on the grounds of public interest, public order and national harmony.” This is the first time that the MDA has suspended the license of a site’s editors. Other locals opposed the move, citing a restriction of freedom of speech. The timing also made the move ironic, since May 3 also happens to be World Press Freedom Day — a day set aside by the United Nations to promote and protect press freedom worldwide. However, it is important to note that this year’s World Press Freedom Day is also dedicated to the need for “quality journalism”, or reporting that is accurate and independent. This makes the timing for this move especially apt, considering that accusations against TRS for plagiarism and fabricated content seem to be an attempt to increase the site’s traffic. But whether or not you agree with the MDA’s move, this takedown means that there are now 400,000 followers still hungry for Singapore gossip. There’s still STOMP, I guess.